Hi guys, welcome to tech myth from phonetweakers. Do you know your phone can kill you, that piece of metal/plastic you put in your pocket, handbags and close to your ears might be dangerous. Now you should always think of your phone as an assassin, waiting to assassinate you when you are charging, taking a selfie, sleeping or driving or a time bomb ready to explode at any minute. Below are 8 ways your phone is planning to kill you, you should be very careful!!! There is the possibility of an explosion or fire, if you recived a call or if you keep your phone turned on at the petrol station. This is because a mobile phone contain low-power radio-frequency transmitters (between 450 and 2700 MHz), with a peak power value that ranges between 0.1 and 2 watts, this can emit little energy that can ignite a fire spark. This may also happen if your phone has a defective battery, it is advisable to switch off your phone when in a filling station due to the danger of explosion or fire which is very dangerous. A Phone charger is made in such a way that it steps down the voltage from the power outlet before it transfer electricity to the DC which can be safely used by your phone to charge its battery. But however in some rare cases, if the charger is working incorrectly or faulty (or if there is a short circuit) you'll receive the full line voltage that isn't being transformed (e.g 120 VAC) and you'll be electrocuted. If you don't receive immediate medical attention, it is possible that you'll suffer heart failure and die. Your phone will give you cancer and you can die from it. Study report and scientific investigations had confirmed an increased risk of tumors on the side of the head where the phone is held. putting your phone in delicate parts of your body for a long time is not good, most especially the head, chest and pocket. So far, the International Agency for Research on Cancer (IARC) had said that it is unlikely that mobile phones could increase the risk of brain tumors, or any other type of cancer. But we do not have enough to completely rule out a risk. Most of those people who top the list of phone selfie deaths were youths; their average age was 21. An overwhelming number, or 75 percent, were young men. “Falling from heights” topped the list as the cause of death for 16 of the deceased. Do a simple Google search for "phone selfie deaths" and you’ll find the Russian teenager who plummeted to his death while taking an “extreme selfie” for his Instagram followers. Some other notable death news headlines are: A couple fell off a cliff while taking a selfie in Portugal, two teenagers were trampled to death by an elephant in Kenya, and a 17-year-old girl plunged to her death from atop a bridge in Russia. Canadian teenager Jeremy Cook was shot and killed after he tried to retrieve his phone (which he left in a taxi) by tracking it down with an app. Police said Cook confronted the men who had his phone and died from multiple gunshot wounds. Also an Alabama man who used a computer app to track down his stolen cell phone was shot and killed when he tried to retrieve it from the suspected thief, police said. The 23-year-old victim’s phone was stolen from his car in Fairfield, Alabama. The cases above illustrates the danger of people trying to apprehend cell phone thieves on their own with the help of tracking apps. On June 19 2007, a Chinese welder had his Motorola phone near his chest when it exploded, causing him to have broken ribs . His broken bone fragments pierced his heart and caused his death . Many believe that the cause of the explosion was due to the lithium -ion battery blowing up as a result of the high temperature of his workplace . Motorola questioned whether or not he used a fake phone or battery . This marked the first recorded fatality resulting from a cell phone explosion. A Chinese shop worker was found dead after his newly bought unknown brand cell phone exploded burst on his chest . Reports said that the worker had just finished charging his phone before putting it inside his chest pocket . Another employee suddenly heard a loud explosion and found the man lifeless. Also while his phone was connected to the wall outlet, a young man from Ghana who bought a fake clone Samsung Galaxy S2 answered a call. This led the phone to short circuit and electrocuted the man to death . He was rushed to the hospital but was announced dead upon arrival. 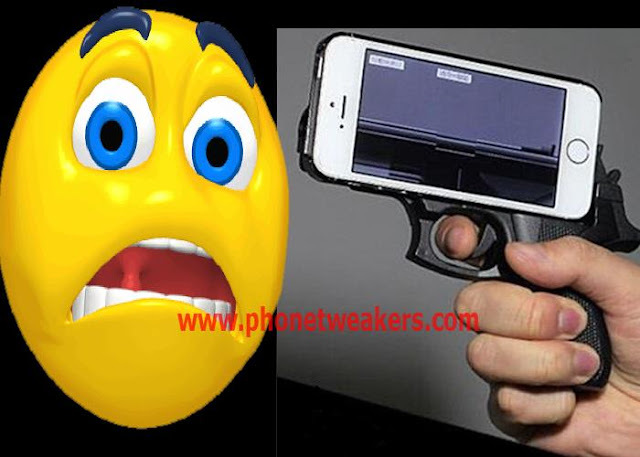 Tech experts says that the phone was made with inferior wiring which triggered short circuit. 8. Your cell phone may explode if you receives/places a call while charging? This can happen due to a defective battery or prolong overcharging which damages the battery. This can later on result in an explosion while charging, due to the fact that when you make or receive calls the load on your phone increases, putting too much pressure on your battery. With too much pressure inside the battery pack, a short circuit is more likely to happen, resulting in excess heat inside the battery pack, which can cause even more heat-generating chemical reactions. A Thermal runaway can also occurs, which is a situations where an increase in temperature changes the conditions in a way that causes a further increase in temperature, often leading to a destructive result. The End result is often destructive, i.e. explosion, like the Samsung Galaxy Note 7 scandal. Thermal Runaway can happen to any device that runs n a lithium-ion battery that is faulty - due to manufacturing problems. Have you ever been an eye witness to any of the things above or maybe you have a personal experience of any one of them, why don't you let people know about it in the comment section below. Thanks for reading guys, if you like this article please do like, share or comment on this topic this will go a long way in encouraging me to write more.